Next he saw another pair of feet, wearing sparkly turquoise high heels, and heard a woman’s voice. ‘A small gillywater–‘ ‘Mine,’ said Professor McGonagall’s voice. 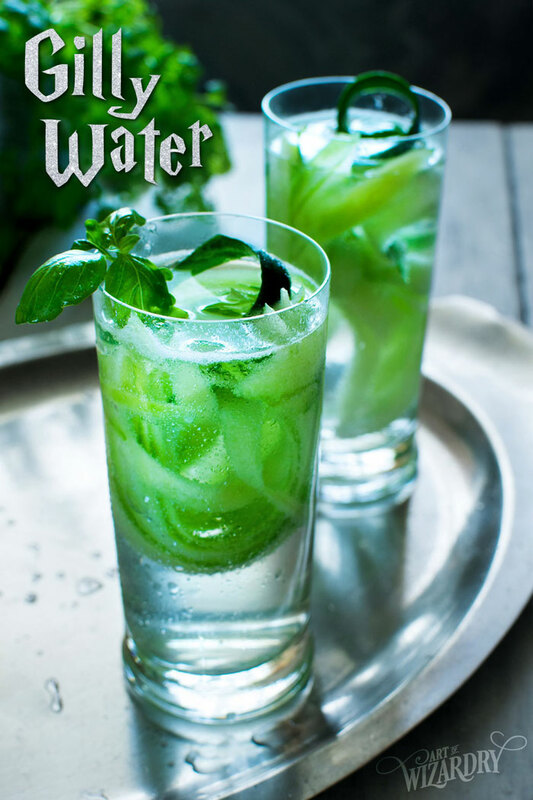 Gillywater is a refreshing, gillyweed infused wizarding beverage served at the The Three Broomsticks Inn. Disappointedly, at the The Wizarding World of Harry Potter it tastes just like regular, plain water. Definitely no gillyweed there! But what IS gillyweed? you might ask. Well, if you’re familiar with the books, you may remember how Gillyweed is depicted: grey-green bundles of rat tails. As slimy as that might be, it has some amazing qualities. When consumed, a temporary growth of gills kick in, making it possible to process oxygen under water. Not only that, but it develops webbing between your fingers and toes to help with swimming. So how come Professor Minerva McGonagall doesn’t turn into a fish-woman after drinking a cup of Gillywater she ordered? First of all, she teaches the art of Transfiguration, therefore she might be immune somewhat. But since Gillywater is served to all customers of the Inn, it must be the unique blend of ingredients that inhibits this unwanted transformation. 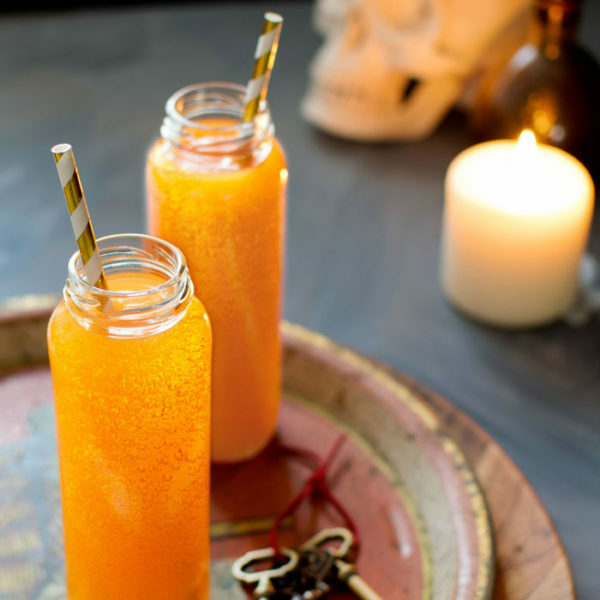 A refreshing, Gillyweed infused wizarding beverage inspired by the world of Harry Potter, perfect for a summer party! 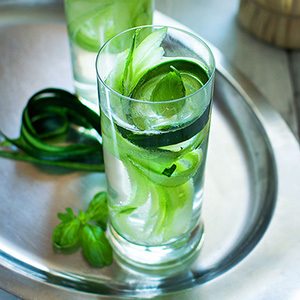 Firstly, when selecting a cucumber, go for a long one without any wrinkles or any nasty sponge-like spots. Wash it properly and cut the stems off. Carefully peel the cucumber vertically - from one end to the other. Don’t throw away the skin! 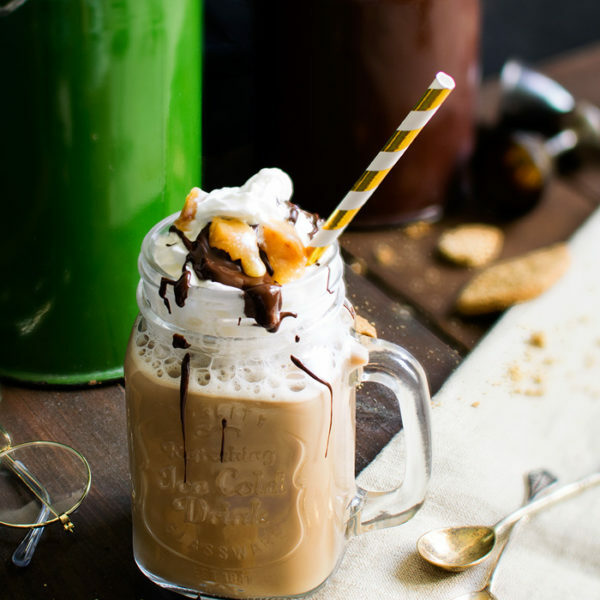 Keep it to decorate your drinks for additional sliminess. The aim is to get long, super-thin ribbons. Continue peeling until you get to the seeds - then stop and move to the opposite side of the cucumber. You can throw away the seeds, or better yet - eat them! 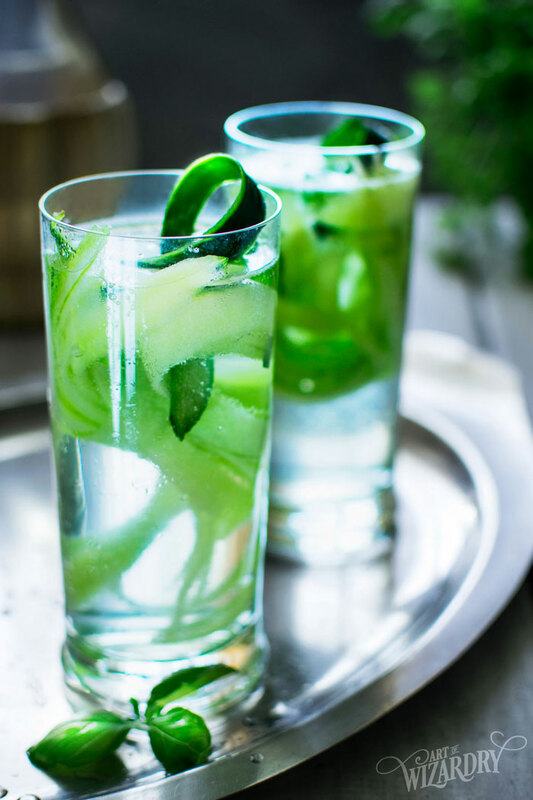 Place the sliced cucumber, mint, and juice of ½ lemon in a large jug. Next, pour water into it. Cover and place in the refrigerator for a minimum of 1 hour. 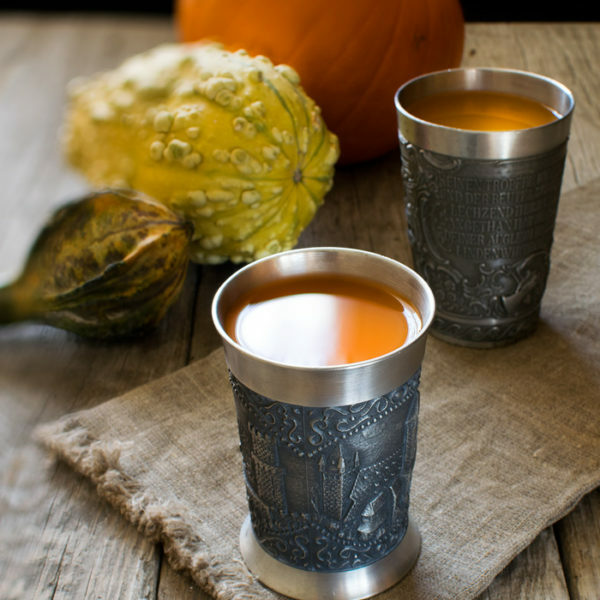 The longer you infuse it, the stronger the flavor will become. 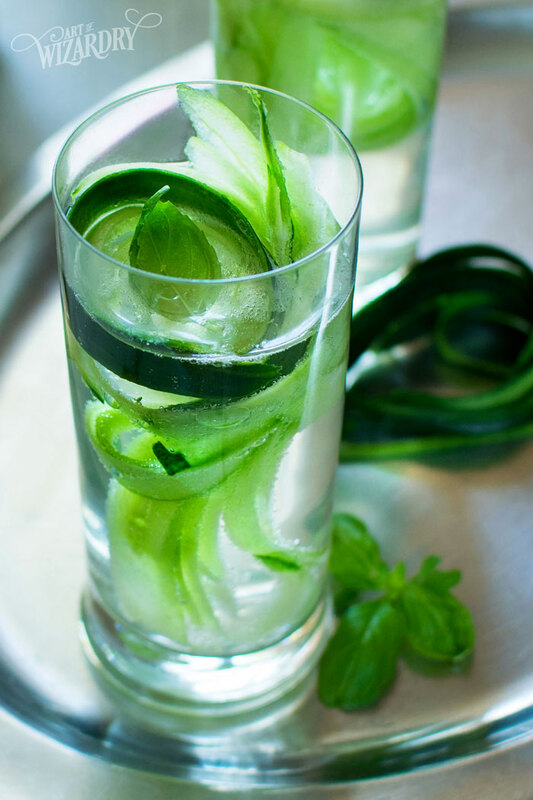 Pour into glasses and serve with slices of cucumber for garnish. You can add slices of lemon instead of juicing it - just remember to remove the slices after a few hours from your Gillywater. Otherwise the beverage will become too sour. If you would like to get a free printable Gillywater label for your bottle, join our resource library now.